Hamburg got their season off to a winning start, edging the battle of two sides who survived by the skin of their teeth last term with a 1-0 win over Augsburg. 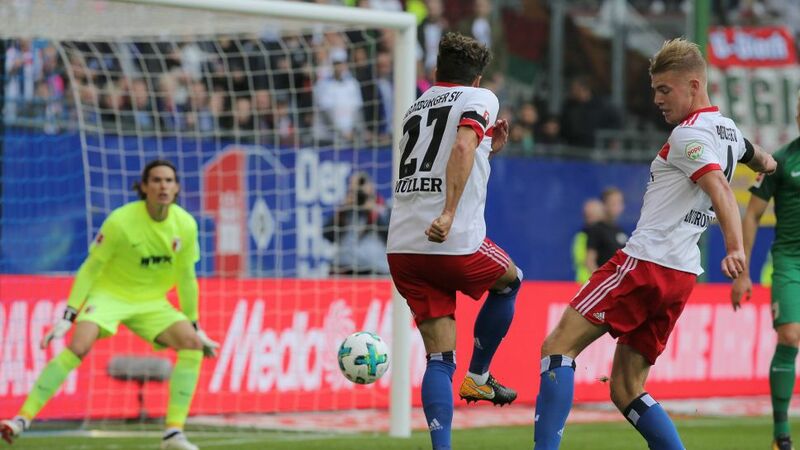 Nicolai Müller gave the hosts the lead with a volley squeezing inside Marwin Hitz's near post, but the Hamburg forward's game ended there as he twisted his knee while celebrating. Aaron Hunt replaced him, but he was unable to cause any danger as Hamburg limited themselves to defending their lead – comfortably – with Augsburg unable to find any invention, even when Hitz raced up and had one of their best chances of the game from a stoppage-time corner.